The UK government is due to examine the development of immersive technologies such as virtual and augmented reality, looking at the impact these could have on sport, entertainment and news. 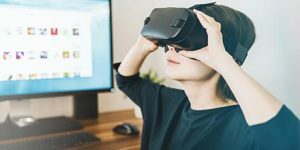 The Department for Digital, Culture, Media and Sport (DCMS) committee has launched an inquiry that will look at growth areas like immersive media, VR and AR and eSports. It will also consider how the addictive nature of some technologies can affect users’ engagement with gaming and social media, particularly among younger people. “The way we interact with cutting-edge technologies is life-changing for our generation and generations to come,” said Damian Collins, chair of the DCMS Committee. The Immersive and Addictive Technologies inquiry will examine government efforts to deliver policy, infrastructure and regulation around immersive technologies and look at the increasing digitisation and ‘gamification’ of people’s lives. The government will investigate what action is needed for the UK to remain a key player in the eSports and gaming space, but also consider the potentially addictive nature of social media and gaming and the impact of spending increasing amounts of time in online worlds. Collins and the DCMS Committee is involved in a separate investigation into ‘Disinformation and ‘fake news’’. Launched last year, this inquiry made headlines recently after it published a cache of secret Facebook documents obtained from app maker Six4Three, prompting this response from the social media giant. The DCMS committee invites evidence on immersive technologies from the public, organisations and others with relevant expertise, by Monday 14 January 2019. For more information click here.